We supporting platform metatrader 4 pc version. In future updates we planning to add metatrader 5. Easy to use with native interface. All needed features you can access just in couple of mouse clicks. Automate your routine and save time for the important things in your life. Experienced traders to collect data by testing their strategies in history and automate their trading processes in clusters of accounts. Trading enthusiasts who want to automate and test various number of strategies and methods. trading ideas, to emulate other robots from the internet. Those who trade baskets of currencies and portfolio traders. You can mix up currencies and timeframes in your analysis just in one chart. Those who need trading protection and extended risk management of trades. Those who want to protect orders from broker's manipulations. Beginners who want to practice in historical data via trading pad. Trading coachers to manage your students. Pamm and Mamm managers to keep adjustable money and risk management while your investors are funding and withdrawing their funds. Those who want to meet different traders from all places of the world and join to the international community directly in your terminal. To speed up visual backtesting time you can select backtesting Control point mode. Also in Xentrader and xentrader signals settings you can set Execution_Trigger option from Every tick mode to higher value eg m5, it reduce frequency of calculations to one each 5 minutes. In real trading it gives step trailing like execution mode. If you trading with tight stop losses or want to protect your trading from broker interruptions in Presets area of Xentrader settings free Additional_Features option to Secured Scalping. By default Xentrader preconfigured to trade trend lines and support resistance zones breakouts, you can place them using trade pad quick drawing buttons. To switch Xentrader automated trading from market to pending orders you need to specify order types settings. To trade manually you can use trade pad buttons for each order types. In Xentrader signals and automation area of settings, you can specify additional automation rules. You can emulate binary options trading in FX market using market orders expiration mode option to specify lifetime of market orders and algorithm of closing. To stay informed about your trading account in notifications area of Xentrader settings you can enable various types of alerts and messages like balance change alerts, drawdown and terminal closing warnings including emails with chart screenshots. In interface area of Xentrader settings, you can change wallpaper, avatar, pairs switcher buttons, programmable buttons values. By default in Xentrader trade pad using programmable buttons you can quickly display and hide round price levels, daily weakly monthly levels, pivot levels, average daily rage targets, news events. Xentrader have built-in order management it prevent crashing your trading strategy on unpredicted events like spread rises by your broker, errors of order execution by broker's server, withdrawing money by your pamm investors, also there's advanced algorithms which can protect your account from broker manipulations and free your hands on risk management issues solving. If your internet connection is weak or you can't be sure of shutting down or rebooting of your pc or vps and you far from access to the terminal, to protect your opened trades always use standard take profit and stop loss orders. 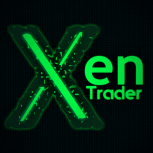 Xentrader will notify you by phone message or email if the terminal is closing by user or operation system you need enable alerts in the settings. If you trading with many pairs by one instance of xentrader without standard take profit and stop loss orders for example trading baskets of currency pairs you need to use built-in timer to generate ticks to the xentrader engine this is necessary because ticks of different pairs are asynchronized that means you can loose some profit if background trades will move some pips. In majority cases of basket trading you can use timer with 1000 milliseconds it's not heavy load of cpu and gives nice performance. To separate one xentrader strategies trading and orders from other xentrader instances on one account you can set unique magic numbers to every xentrader in the xentrader settings. In the case of running several xentrader instances with the same magic number to prevent double counting trades use unique orders comments for every xentrader instance, you can set comments in the settings. If you want to trade manually from your phone or not from trade pad but need xentrader manage your trades set xentrader magic number to 0 in the case xentrader will manage all trades opened in the trading account. If you running multiple strategies or several instances of xentrader with different magic numbers and currency pairs, you can set supervisor xentrader which managing entire trading account with magic number 0, it means the robot doesn't opening a trades but he closing all trades of other xentraders with money management and risk management defined criteria. For example close all opened trades by reaching account profit at 10%, or cut losses of entire account at 5%, or trailing account profit with universal trailing stop using curency of trading balance, or place break even on every trade when the trade goes 10 pips from order open price or send to email or phone message every 5 hours with information about opened trades, equity, balance, profit etc. In addition, you can run xentrader losses recovery instance, which open recovery trades only if trading account losses reaches defined levels or compound account profits risking only profits money without any risk to account balance. You can build very complex account management, the limits only in your imagination. If you trading scalping on lower timeframes m1 m5 with tight stop losses use ask price hack and graphic take profit and stop losses it will protect your sell trades from hitting sl by ask price wide fluctuations. Also you need to use sell buy trigger trendlines to open the trades instead of pending orders to prevent broker's interruptions to your trading in any timeframe. After that you can set needed parameters and signals which matched to your strategy and trading plan. In navigator window of metatrader4 terminal you can find new Xentrader folder with signal indicators which sending their parameters to Xentrader engine. By combining the signals you can visualize or automate numerous of trading strategies. Xentrader have five trading signals groups each one can be used to visualize indicators data, open trades, close trades and master filter for all groups of signals. To change behavior of the particular group you need to choose from the list needed option in Xentrader settings Presets area trading group options. In the one particular group you can add numerous trading signals which you can find in indicators list called xentrader signals. The trading signal is valid only when all signals in the group showing the same signal direction. All that means the one xentrader instance can trade with five strategies same time. By default all signals have shift parameter equal 1 it means the signal whatching previous closed bar of the chart to validate the signal. In some cases you need set shift parameter to 0 to use current bar signal validation, but without understanding it can be cause of fake signals because the price of the bar also the indicators are changing the values so it can give sell or buy or close trades signals on one bar same time while this bar not closed. After all settings is done you need to backtest this strategy in strategies tester with different periods of time. Analyze the stats your will get and adjust the strategy to your criteria. You can skip backtesting phase if you understand results of your trading methods especially if you trade using trade pad with trendlines or support resistance triggers and the xentrader is used as risk manager to manage your trades and trading account performance. With the tools we've created you can also emulate work of other robots from the internet, backtest well known trading strategies and decide to trade with not by screenshots of charts but true data statistics of performance that strategy in the market. This is prevent of money spending to holy grail indicators, strategies sellers. We want every trader will use automation and risk management by their will. 2019 year already, algorithms can do needed work for everyone without limitations. Always use strategies tester of mt4 to backtest your ideas and settings before trading. It will show you statistics, pros and cons of your trading, this is the chance to save your money, time, adjust your mind to the real market before jumping in trading with current market situation without knowing how it will be. Choice is yours: learn by losing money and spending life to the process or learn without losing your life-time and money. Backtests are not the guarantee of profits in future, you should treat this like checking all the things are going right, The real market is quite different, there's trading servers lags, errors, spread fluctations, slippage. That's why is very important to understand and be prepaired to any trading situations - this is called risk management. Xentrader allows you trade manually using trade pad or automatically using xentrader signals and your favorite indicators same way both on demo, live accounts and strategy tester.